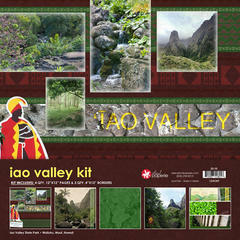 12x12 acid free Iao Valley scrapbooking kit. Made in hawaii at Island Paperie. 4 pages and 3 borders.